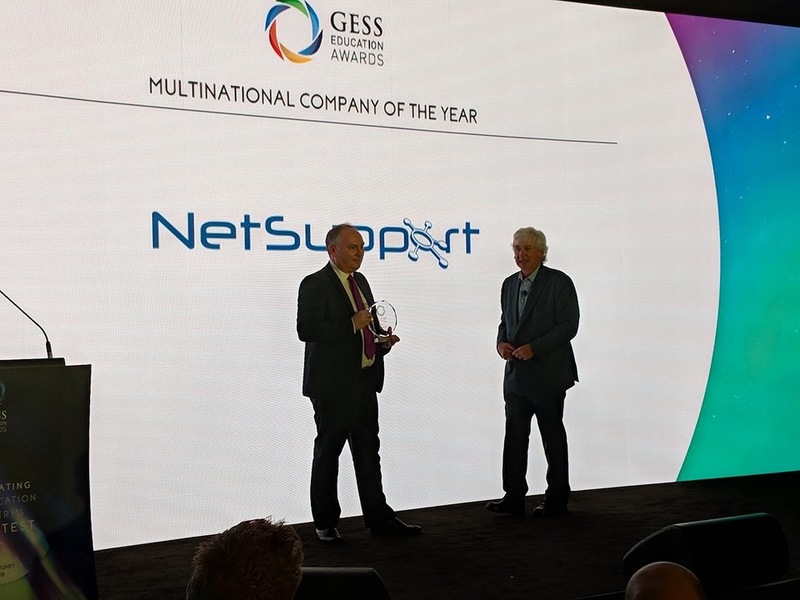 NetSupport wins Multinational Company of the year award! 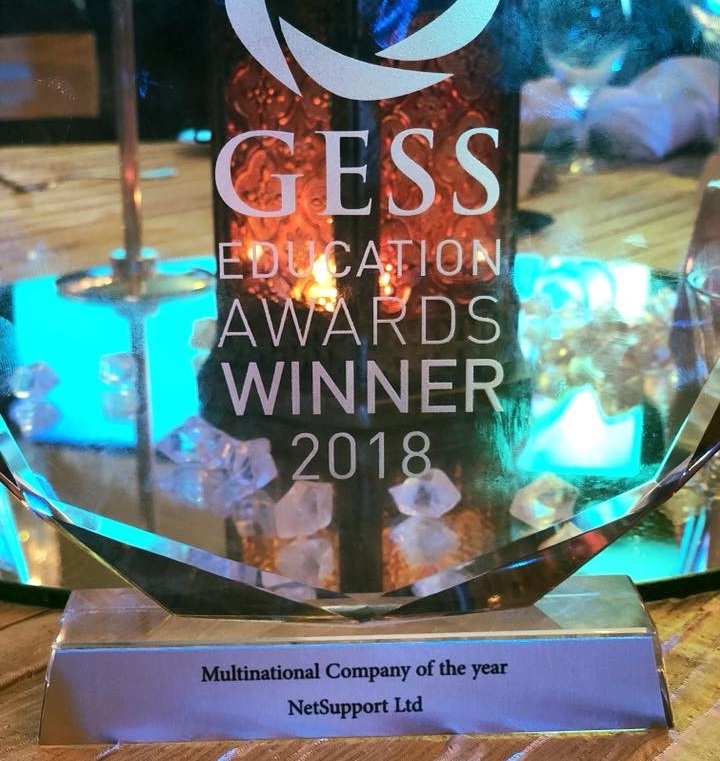 NetSupport is the proud winner of the ‘Multinational Company of the year’ category at the Global Educational Supplies and Solutions Awards (GESS 2018). 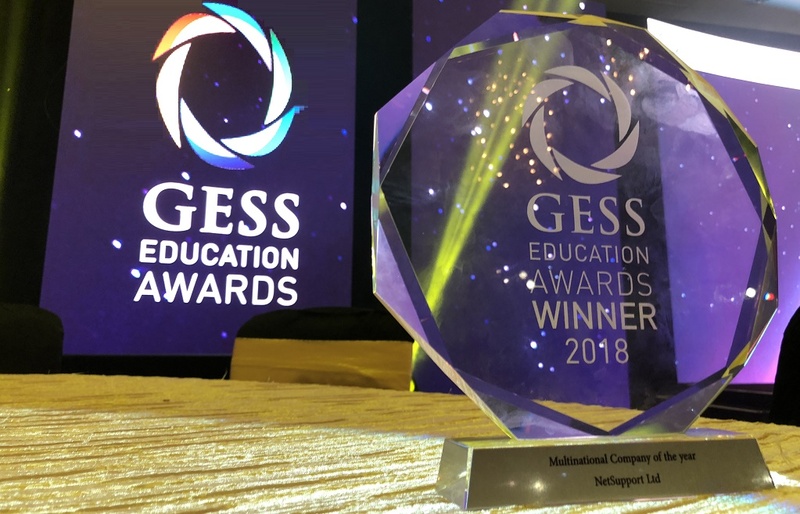 The GESS Education Awards strive to encourage the raising of educational services and product standards throughout the industry and aim to be recognised throughout the sector as an accolade of excellence. The Multinational Company of the year award was based on suppliers and/or distributors that supply education establishments (either directly or indirectly) with high-quality, safe products appropriate to everyday teaching and learning needs. Congratulations to the NetSupport Team! To learn more about NetSupport and its solutions click here. Matt Jones accepting the award on behalf of the company at the ceremony hosted in Dubai. The awards ceremony in full swing!